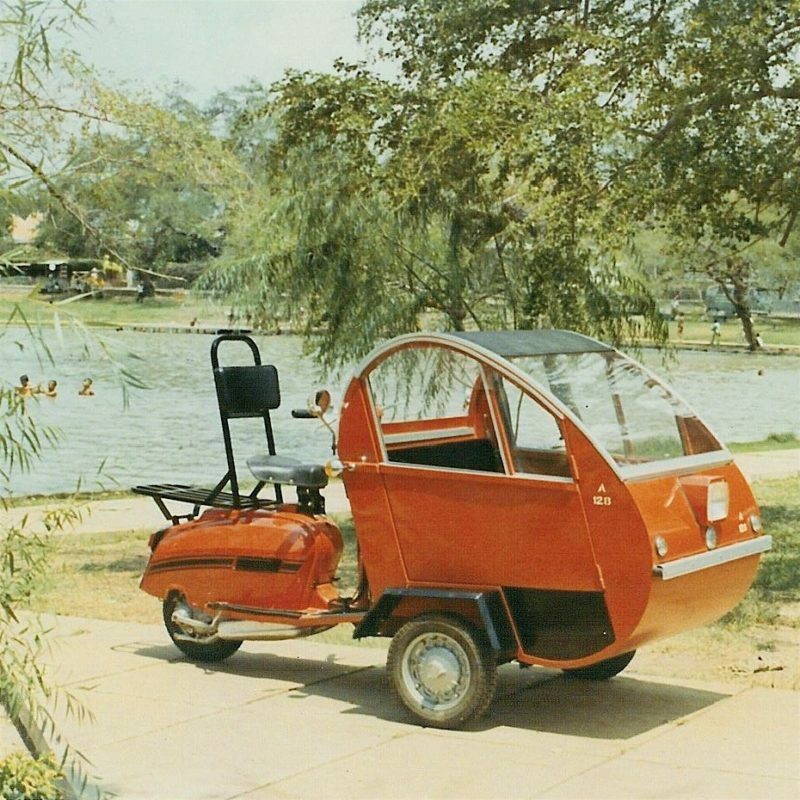 The Helicak, one of many odd micro-vehicles to come out of the 1970s, was borne through an Indonesian tax incentive offer to vehicle manufacturers to produce designs that could be locally fabricated. Lambretta, the quintessentially-Italian scooter manufacturer seized this opportunity, heavily modifying their DL 150 scooter by adding a cab of fibreglass and acrylic to the front to transport people through Jakarta’s bustling streets. Essentially a helicopter body transplanted onto a common scooter, the Helicak was a failure by any definition, with less than 1000 units sold (and most to the local authorities) before being banned, dumped in a nearby sea and forgotten.